With a name like Yuriko and a home in San Francisco, it’s safe to say you’re not going to meet many people who share your name. And for Yuriko, that has always been just fine. Until one day, a new art teacher at school calls her “Eureka” by accident. Her classmates begin to do the same and tease her about a photo of herself she brings into class as part of an assignment. She’s dressed in a red kimono but the other students tell her Japanese dolls in kimonos are supposed to have black hair, not blond like hers — even though she does have Japanese ancestry. As a result of the teasing, Yuriko tells her father she wants to be called Michelle instead — a more common name. She also decides she doesn’t like school or art anymore, despite having loved them when she was Yuriko. 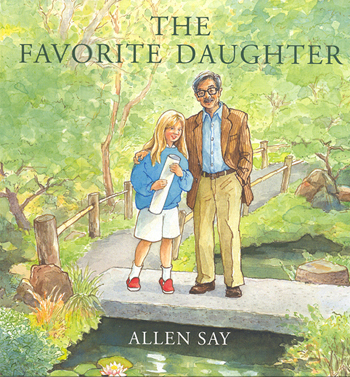 “Michelle’s” father helps her find herself as the two of them spend the weekend together and brainstorm ideas for an art project she has been assigned about the Golden Gate Bridge. Although it’s clear her father prefers Yuriko to Michelle, he doesn’t force or demand her to change. Instead, he lets her make her own decisions on who she wants to be, showing his understanding as a father to let Yuriko figure things out for herself while he steps back to watch her grow. While Yuriko starts out wanting to be the same as her classmates — even wanting to change her name to a more American one — she wants to do something different for her Golden Gate Bridge art project. Through this, Yuriko learns how being different isn’t such a bad thing after all, a great lesson to teach kids of all ages. Although it is not outright mentioned, the story also implies that Yuriko’s parents are no longer together, and she only spends a few days a week with her father. In this modern day in which families come in all different forms, shapes, and sizes, this is a good way to show readers at a young age that being from a family that doesn’t fall under the “traditional” definition doesn’t mean your family is less special or that you don’t love each other any less. Kim Wong Keltner grew up with a Tiger Mom. As a Tiger Baby, she was made to feel inferior, ashamed and just plain bad for merely existing — and many times as a result of what the other adults outside her immediate family would say to or about her. 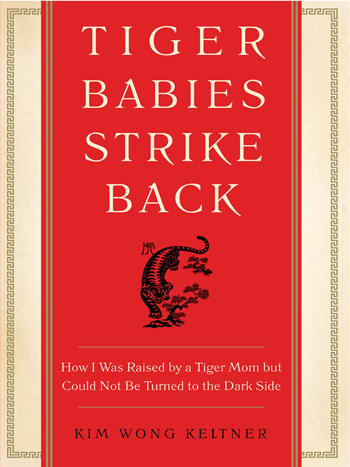 In “Tiger Babies Strike Back” Keltner recounts her life growing up Chinese American with extremely strict parents who raised her and her brothers as an extension of themselves. She shares stories of her mother constantly bragging about friends’ children (most of whom Keltner never knew or met) as a way to point out her own children’s faults. Keltner also states how she refuses to become a tiger mom herself and to be a more loving and emotionally accessible parent. While the premise of the book can be viewed as Keltner taking the opportunity to bash her parents — and it initially has that sort of vibe as she discusses how they constantly berated her for various reasons — the book quickly becomes a story of how she came to terms with the way she was raised. This becomes especially true when Keltner becomes a mother and begins to realize that her own mother sometimes acted the way she did as a result of the stress that comes from being a parent. Not everyone grows up with tiger parents, but many of the aspects of Asian American life Keltner describes, such as often being compared to family friends’ children and the idea that what you do is a direct reflection of your parents, is very relatable. By writing about it, Keltner reaches out to others who may have had similar childhoods and shows them they are not alone and that you can survive. In 1955, Stephen Jin-Nom Lee wrote a letter to his four children, Amy, Huey, Rudy, and Yvonne. Taking place from the beginning of the 20th Century all the way through China’s Cultural Revolution, Stephen shares in detail the story of his life as a way to show his sons and daughters how much he loved them. With tales of famine, flood, corruption, war, and more, Stephen — with the help of his grandson-in-law Howard Webster, who worked to get the older man’s story published — recounts how he and his wife Belle struggled to survive the various events that threatened to tear their family apart. And although war, work, or other circumstances may have separated them geographically at times, there is never a doubt in the readers’ minds that everything Stephen does is for the love of his family. 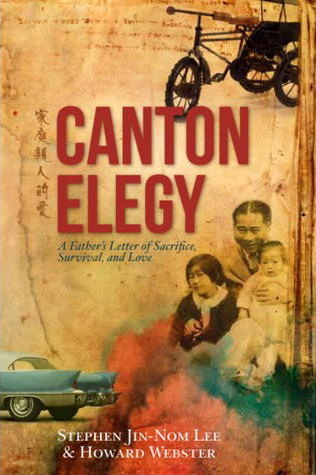 “Canton Elegy” is the story of the lengths one man will go through to take care of his family and create a happy life for them. Some of the things the Lee family faced in addition to being separated at times included facing burglars and soldiers ransacking their homes for money, food, and more as well as seeing so-called friends’ true colors as their war-torn country leads truly desperate people to do whatever they need to survive. The idea of writing a letter to share with one’s family at a later time is romantic in the classical sense.